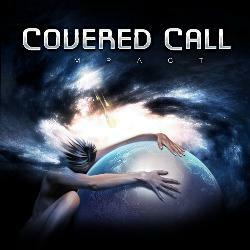 Rock & Metal 4 You: COVERED CALL - new album "Impact" out in March! Covered Call: An expression used in financial circles depicting a picture of Wall Street, big cities, and the frenzy of the stock market. Covered Call the band, however, was born in a small carpentry shed in the dark, deep forests of Sweden. The contrast couldn´t be greater between the band and their name. The band immediately landed a deal and released their debut album “Money Never Sleeps” internationally in 2009. During the recording sessions for the band's second album bassist Andy Loos (ex Glory, Lion´s Share) was recruited as a full member in the lineup. Andy had previously been working with Göran Edman (ex John Norum Band, Yngwie Malmsteen), who was soon after recruited to complete this stellar lineup. The new album, entitled IMPACT (release date: March 28th, 2013), was recorded by Covered Call along with Studio Fredman (Arch Enemy, Hammerfall, Dimmu Borgir, In Flames) and was mixed by Lars Chriss of Lion´s Share (who also performed a guest solo on the track "Hold On") at LS Studio. The band has left their suits behind and is ready to deliver unforgettable rock music in the true AOR spirit! You find the tracklist below - just click on the highlighted son titles to hear some sound samples.